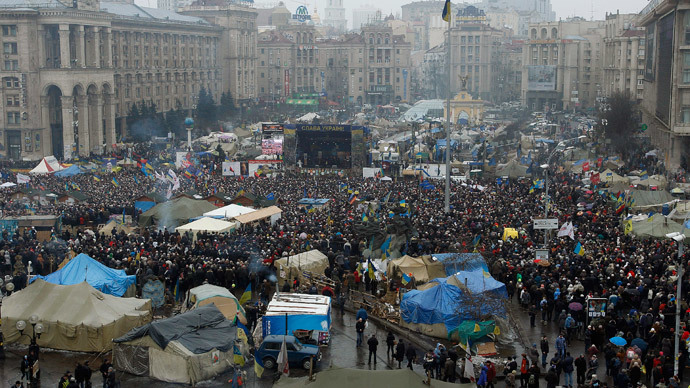 Ukrainian opposition activists have vacated several governmental buildings, which they had been controlling for weeks. The move, which is required for an amnesty law to come into force, comes just before a deadline the law set. 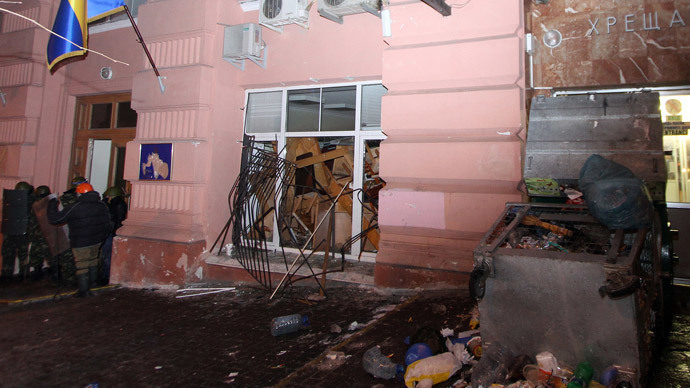 In Kiev, the opposition abandoned the capital city’s administration building. An “act of handover” was signed by the self-appointed "commandant" of the building, Ruslan Andreyko, and Swiss Ambassador to Ukraine Christian Schoenenberger, Interfax reports. Meanwhile the head of the administration, Vladimir Makeenko, did not sign the document, but entered the building. Elsewhere, in the west of the country, activists vacated regional administration buildings in Lvov, Ivano-Frankovsk, Ternopol and Poltava. “All the formal requirements of the law for amnesty of the members of the protests in January and February have been fulfilled. 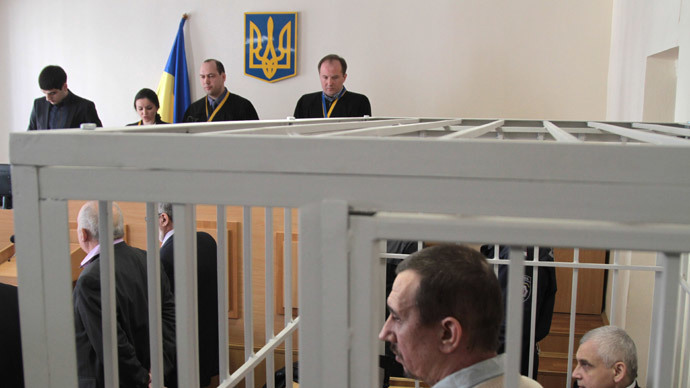 We demand that the law is enacted immediately,” said Arsen Avakov, an MP from the opposition Batkivshchina party. He added that the opposition “reserves the right to whatever forms of protests it finds appropriate,” unless the amnesty is put into force at once. Avakov’s statements may be premature, however, since the barricades in Grushevskogo Street, the site of violent January stand-off between radical protesters and Ukrainian riot police, remain under heavy opposition guard, reports Itar-Tass. “We have an order from the Maidan commandant,” one of the masked protesters on the scene said. Some efforts have been undertaken to dismantle the defenses in Grushevskogo Street, which is also part of the requirement for the amnesty to come into force, but the road is far from been unblocked. “We won’t leave anywhere. If the authorities try to cheat us with the amnesty law, it will take us minutes to erect new barricades,” another protester said. And even the city hall, which the opposition promised to leave, is in fact still occupied. A group of activists remain in the main hall and are refusing to leave, while about about 1,000 other activists are waiting outside the building, saying that they are prepared to take over the building again if the amnesty does not come into force. 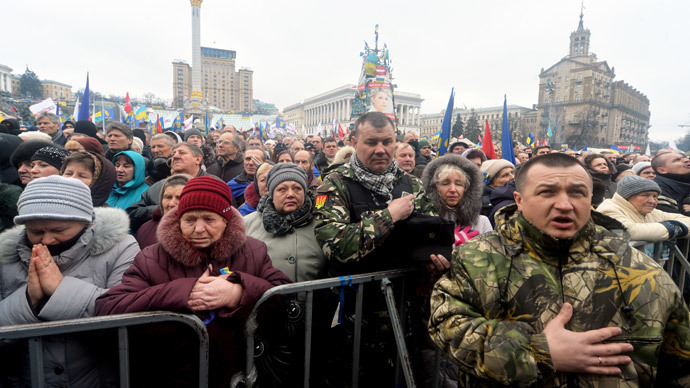 A member the nationalist Svoboda (Freedom) party has stated that if this is the case, protesters will occupy the Kiev admiration building again. “If cases [against detained protesters] are not closed within few hours, we will seize the [administration] building again,” MOP Andrey Ilienko said. The General Prosecutor Office has confirmed on its website that the amnesty will come in force on February, 17. Meanwhile the opposition has held a weekly mass rally in Kiev, where the amnesty law and dismantling of the barricades is to be discussed. The law’s deadline expires Sunday. Opposition moves comes a day after Ukrainian courts completed the release of protesters, who were previously kept in police custody on suspicion of various crimes committed during the anti-government demonstrations and riots. The opposition referred to them as “hostages” and demanded that all of them were set free before they would comply with the amnesty law. The law was aimed at amnestying all protesters, except those involved in major crimes like kidnappings and murder. It comes into force after Ukrainian General Prosecutor’s office officially confirms, that the opposition met the law’s requirements to abandon most of the seized buildings and streets. Only after that would the prosecutions be halted. The development in the months-long confrontation gives slim hope that the conflict may be resolved with no further violence. But the situation in Ukraine, which currently has only a provisional government and is struggling with both a political crisis and an ailing economy, is far from being stable.